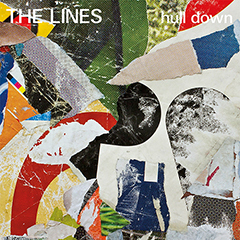 Acute Records couldn’t be more proud than to announce the release of our 11th CD, and our 2nd by The Lines, Flood Bank. With our previous critically acclaimed compilation Memory Span, we introduced (and reminded) music fans of a truly fantastic band of the post-punk era. While Memory Span compiled their singles and EPs, Flood Bank contains the band’s two LPs, Therapy and Ultramarine. When listening to Memory Span, you can hear a progression as the band develops their songwriting and production. On these LPs, while the songwriting is as strong as anything on Memory Span, you hear the results of their further explorations in sound, production and process. One key change was, as singer/guitarist/trombonist Rico says in one of two vintage interviews included in the liner notes, “What’s happened is the focus has gone from me as song-writer and focal point. Now songs start as a rhythm and Joe and Nick, then me and Mick overdub melody and noise.” This results in music with an acute sense of atmosphere and rhythm, a sublime sense of space with a refined subtletly. However dig just below the surface and many of the qualities that made Memory Span such a hit remain; infectious melodies, angsty guitar, funky rhythms, and songs that will get into your brain and stay there. I love so many things about this song, it’s pace, the sound, and note in the chorus they recycle a melody from False Alarm, one of the great tracks from the Cool Snap EP that appears on Memory Span. I guess it’s just so good that it deserved another life! 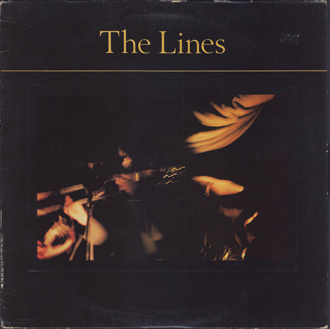 The Lines didn’t just experiment with the production of these LPs, but with the songwritingâ€”angsty post-punk numbers, punk-funk grooves,Â instrumental exercises in noise, and even a few beautiful ballads. I wanted to preview one of them here but it was hard to chose, they’re all favorites of mine. And that’s just 3 of 16 songs, an hour and 15 minutes of music. 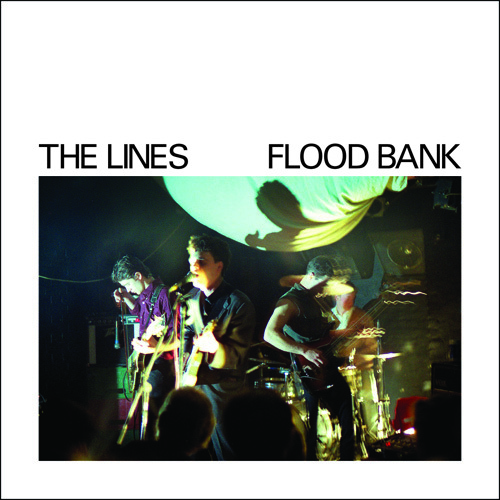 In compiling Flood Bank, we spliced the two LPs together to create what we think is a more listenable CD. Of course the original tracklisting was chosen to suit both sides of two LPs, but since this was going to be one very long CD, we felt it would flow better and create a different experience if we scrambled it up this way. In this day of iTunes and iPods and CD-rs, you can always change the tracklisting back to reflect the original LPs. If you own both Memory Span and Flood Bank you will have the complete recorded output of the Lines except for 1 song. 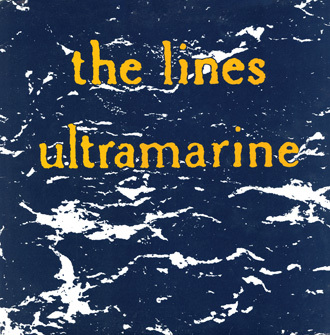 The original vinyl release of Ultramarine ended with a song called Respit, a backwards version of the first song on the album, Stripe. However, combining both LPs would’ve been to long to put on 1 CD, so we had to cut a song. Here it is. And there you have it. I’m really excited about this. When we released Memory Span last May, I talked a lot about how the music of The Lines takes a while to grab people’s attention, but when it does it never lets go. Sure enough, in addition to the small cult of fans who’d been waiting years for the CD, new fans have been taking to it like a long-lost family member. I don’t know if that metaphor really works, but you get the idea. And here we are now, presenting a follow up where the music is perhaps even more subtle and mysterious, and maybe more rewarding. Hope you dig it.